Four sub-communities make up Midtown: Mount Vernon, Madison Park, Charles North and Seton Hill. Each has a distinct charm and their adjacency provides residents with a diverse roster of things to do and see within walking distance. Boasting one of America’s greatest collections of historic architecture, Mount Vernon is Baltimore’s cultural epicenter, offering a lively scene of premier cultural institutions and ethnic and fine dining restaurants. Clustered around the Washington Monument (built by the same architect as the Washington DC version), Beaux-Arts style architecture makes Mount Vernon one of America’s architectural treasures; Baltimore’s grand Penn Station on Mount Vernon’s northern boundary makes the neighborhood a very popular place for DC workers to live. Standing majestically in the middle of these communities is the famous Belvedere Hotel, where F. Scott Fitzgerald, once a Baltimore resident, is reputed to have boozed and caroused. 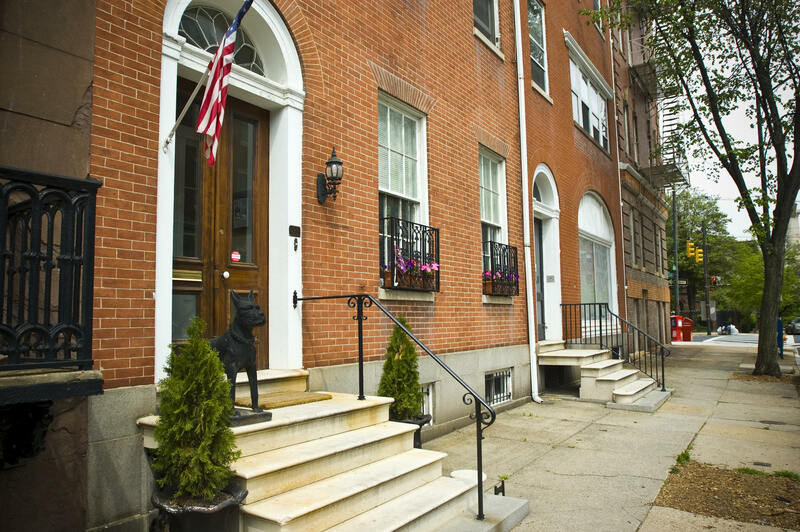 To complement living in spectacular historical buildings, the neighborhood offers many premier cultural institutions at your doorstep: Walters Art Museum, Meyerhoff Symphony Hall, The Lyric Opera House, Center Stage, The Peabody Conservatory, Maryland Institute College of Art, The University of Baltimore and The Charles Theater. More than 35 restaurants and 100 stores dot the Mount Vernon landscape, from the Afghani cuisine of The Helmand to the New American menu (and a variety of locally brewed beers) at The Brewer’s Art. \ For a grand old Baltimore experience, visit the Owl Bar at the Belvedere Hotel. A short walk from neighboring Mount Vernon, Madison Park has the most spectacular Victorian houses south of New York City at very affordable prices. Its brick row houses and brownstone mansions present a stunning facade on Madison Avenue. Most of the buildings were constructed between 1876 and 1894 by master carpenters and builders. North of Mount Vernon, Charles North includes much of the Station North Arts & Entertainment District and is home to the multi-screen independent movie house The Charles, the Everyman Theater and multiple galleries and business that cater to the arts crowd. Many residents are commuters to Washington DC and walk to Penn Station to catch the train. The influx of local artists and the neighborhoods proximity to the Maryland Institute of Art make the area a haven for artists and performers. Galleries and studio space, such as Load of Fun and Metro Gallery, host exhibitions and performances. On Saturdays, the Station North Flea Market offers funky finds and community spirit. On the other side of Mount Vernon, charming Seton Hill is an area rich in architectural and historical significance. It was designated a Historic and Architectural Preservation District of Baltimore City in 1968 and placed on the National Register of Historic Places in 1975. The area is anchored by Saint Mary’s Seminary, the first Catholic Seminary in the United States, and named for Elizabeth Ann Seton, the first American canonized saint. Located on the Seminary grounds and placed on the National Register of Historical Landmarks are The Chapel of Our Lady of the Preservation, one of America’s oldest and finest examples of Gothic Revival architecture, and the Mother Seton House, home of Elizabeth Ann Seton. Seton Hill is one of Baltimore’s oldest intact rowhouse neighborhoods. Two- to three-story rowhouses in the Federal and Victorian style were built between 1800 and 1850, most restored or renovated. Many of these small to large residences still have original wooden floors, marble mantels and spiral staircases. This quiet residential neighborhood is walking distance to the cultural, entertainment and job centers of Midtown, downtown and the Inner Harbor and just 10 blocks north of Oriole Park at Camden Yards. Seton Hill is located at the Centre Street Light Rail station and 12 blocks from the Penn Station MARC/Amtrak train station with easy access to Washington, DC. For more information about the Midtown communities, to learn about Historic Tax Credits for historic renovation and receive home buying assistance, visit the Midtown Development Corporation.